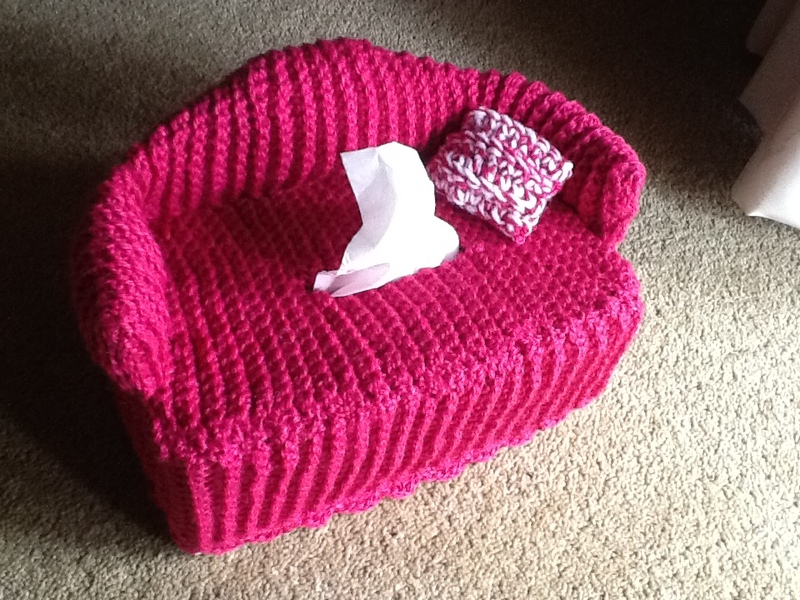 Knit couch tissue box cover with cushion and dog. I bought the pattern online from e-patterns central. The dog pattern came from Inside Crochet magazine. You could do a similar search if you prefer to knit. 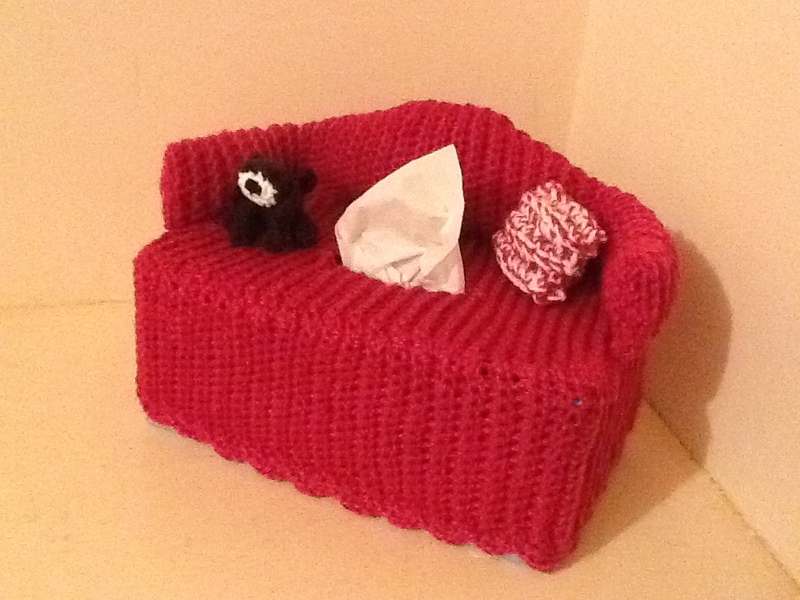 This entry was posted on 29/10/2013 by flicstar in Homeware and tagged knit, knitted couch, tissue box cover.